Choose the button that best describes how you would like to partner! 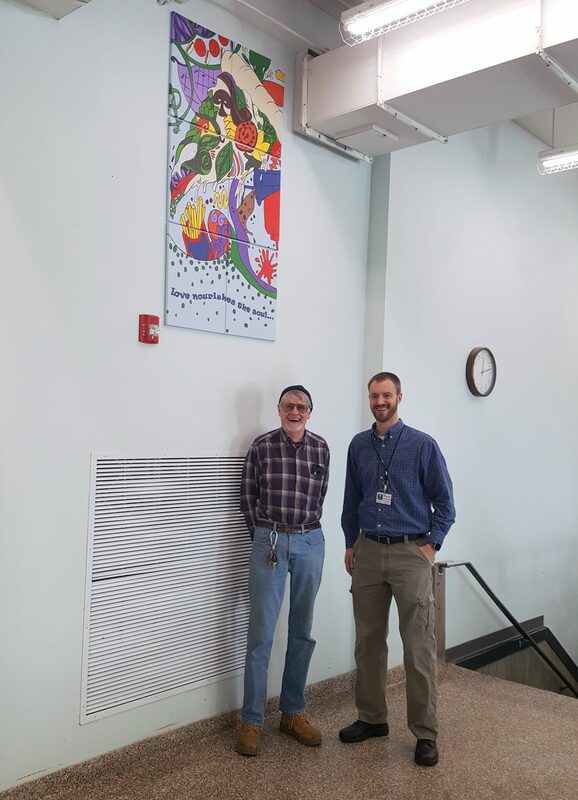 ​The National Association of Insurance Commissioners (NAIC) and their employees created this neat piece of art at their holiday party last December, which now hangs in our Men’s Center dining room. What a fun addition for the men to enjoy while they dine with us! Thank you NAIC for thinking of those that we serve with your kind donation! 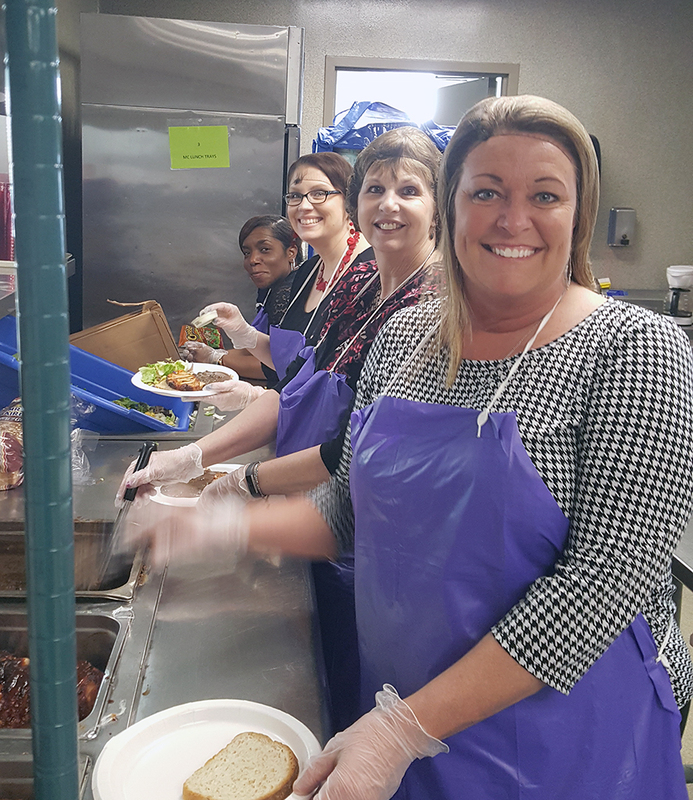 These awesome volunteers from the Kansas City Association of Insurance Agents board are coming every other month this year to serve the folks at our Men's Center for lunch. Thank you for your generosity and sharing your smiles with us! 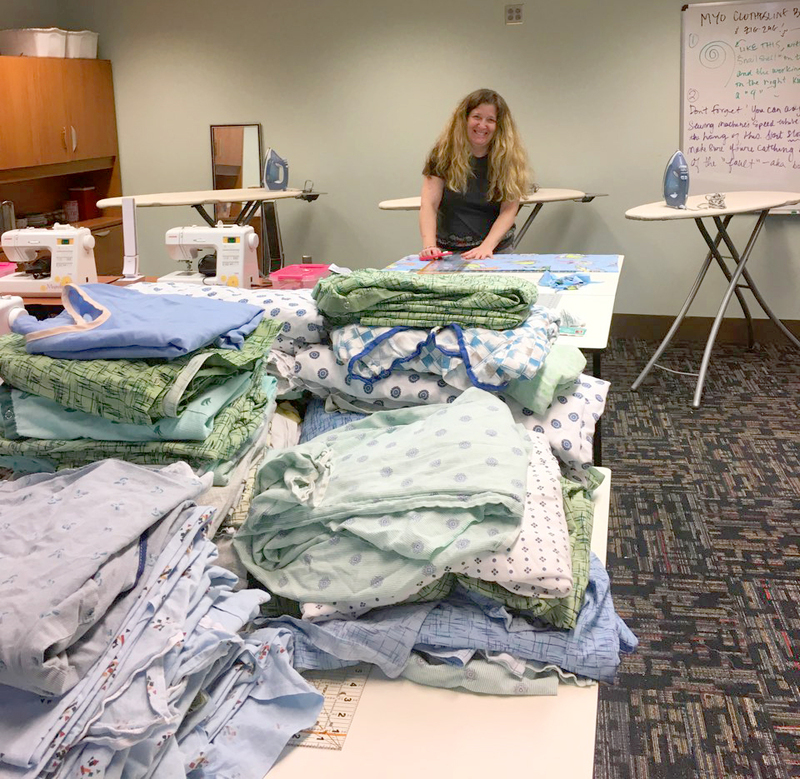 The North Kansas City Public Library recently opened a "Maker's Space" within their facility and have begun sewing projects to donate to the Mission. Thanks to the folks who volunteer, we have just about reached our ideal need for night gowns for the guests at our Men's Shelter! What a blessing this is! Giving the Basics has been a friend of the Mission for over 6 years now, providing hygiene products and more to our guests on a monthly basis. We appreciate you blessing City Union Mission with these much needed donations. Thank you for the great work you do for us and others in our community!